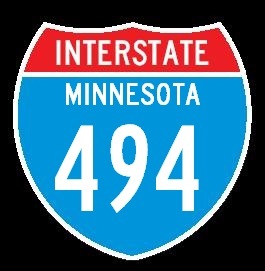 Interstate 94 runs east-west across Central Minnesota. It runs in a bit of an angle across the state. This goes from the Minnesota/North Dakota State Line, at the Red River of the North crossing, near Moorhead, southeast to the Minnesota/Wisconsin State Line, at the St. Croix River crossing, near Lakeland. 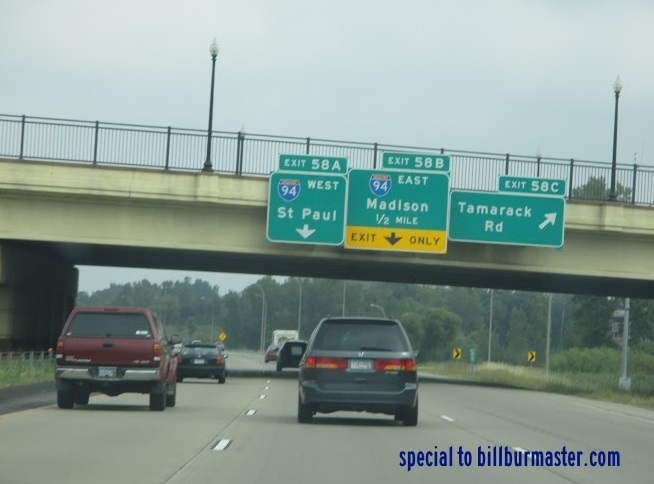 While in Minnesota, I-94 is multi-plexed. ...U.S. Rt. 52, from the North Dakota Line to St. Paul. ...U.S. Rt. 59, from Ferguson Falls Township to Buse Township. ...Minnesota State Route 210, at Buse Township. ...Minnesota State Route 27, from Alexandria to Orange Township. 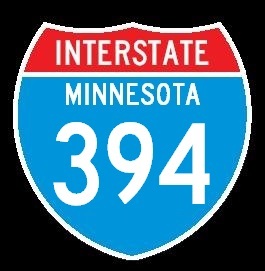 ...Interstate 694, from Maple Grove to Brooklyn Center. ...Minnesota State Route 55, at Minneapolis. ...Interstate 35E, at St. Paul. ...U.S. Rt. 61, at St. Paul. 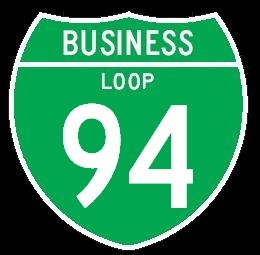 ...Minnesota State Route 95, from Woodbury to Lakeland. 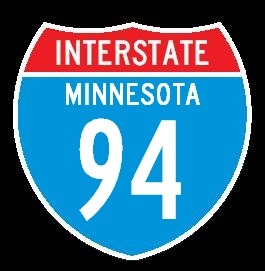 In Minnesota, Interstate 94 crosses the following interstates. 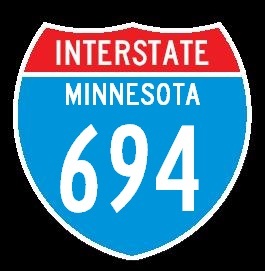 Interstate 694, at Brooklyn Center. Interstate 35E, at St. Paul. Branches of I-94 in the State of Minnesota.